The Kerrie Show: Get $5 When You Sign Up For #Swagbucks in January! 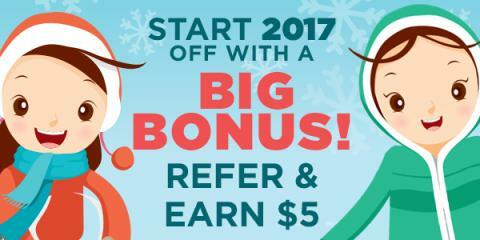 Get $5 When You Sign Up For #Swagbucks in January! That's it. It's super easy, and Swagbucks is for real. I use it myself, and I've earned 43,168 SB since I joined, which is $431.68, and I normally get PayPal cash so I can spend it on Younique, things I need for our homeschool on eBay, and even to pay for my book covers that I get made on Fiverr.com!